This is my photo. I made this to share, so please feel free to save/copy and share around the ‘net! What comes to mind for you when you read this quote? What is one thing you can’t stop thinking about? What helps you fight the urge to give up? 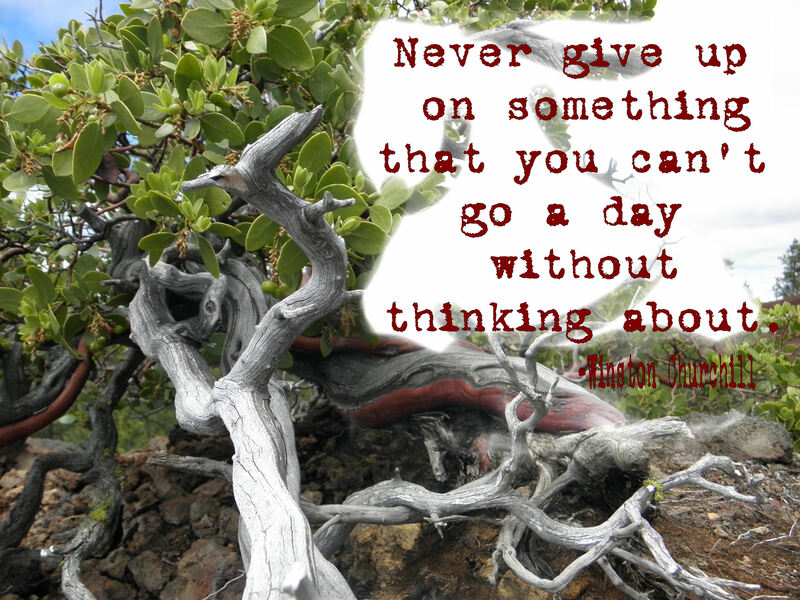 What have you given up on that you still can’t stop thinking about? What is something you want to give up on, but you know is too important? I’d really like to know your answer or answers to these questions! It would be my pleasure to find out more about what drives you, my friends! Your determination causes me to smile, ivyon! I wholeheartedly wish you success. Don’t give up. Don’t lose sight of what makes it worth the effort and strife. In the end, it will make you stronger.